A combination of extensive knowledge, experience and natural gifts and abilities allows us to provide safe, effective and natural treatments, for both - acute and chronic conditions. We are very passionate about helping people with their health challenges and we will make your health our priority, as long as it is a priority for you. Doctor Yuliya will work with your medical insurance, workers compensation, auto insurance or VA First Choice program to cover your acupuncture treatments. You can also use your health saving account. In case you don’t have an insurance or your policy not covering acupuncture, we have an affordable package deals to insure that your treatments will be regular and effective. • note: in mobile version the full menu is located in the upper right corner of the page. Dr. Yuliya was amazing, extremely kind and knowledgable. I even got my grandpa a session to go see her because I knew she could help him like she did me. I cannot wait to see her again. With much gratefulness I want to thank you both for helping me. I came in with Sciatica pain 24/7 for two years, and knee pain and swelling. And now after 10 sessions with you, I am without pain and can walk, go up and down stairs (have a 2 story home and had to go one stair at a time) and I am back to most of my normal daily activities. Dr. Yuliya and Mikhail are extremely gifted and talented and are very sensitive to your needs and concerns. Both are very professional and caring people and they are a blessing to their patients and our area. I would highly recommend Come For Health clinic, and I will return for more sessions without any hesitation in the future. "After one session my knee feels normal again (no pain)!" I really appreciate you both! "Left knee pain and numbness and tingling in both feet"
What was your pain level before? "Difficult to deal with because the balance was affected and it made me unsure of my ability to walk." "At least 90% better with the numbness and the knee is ok."
How did it feel after each treatment? Rare is it to find such a comprehensive health practice which offers both practical wisdom and diverse healing techniques within the natural healing arts. Come for Health is a gift in my home town - Montrose, CO. If there were 6-stars to rate Come for Health, Dr. Yuliya, Mikhail Jirnov, and their health practice offering in Montrose, it would be my first 6-star rating. Having much improved after just two sessions, I not only look forward to future treatments with them but to many years of knowing such caring and compassionate people as Yuliya and Mikhail at Come for Health. We have known Mikhail Jirnov for about 20 years and have been fortunate enough to receive his energy work many times over the years. He is one of the most powerful bio-energy masters we have ever experienced. It is a blessing to be treated by Mikhail, and we highly recommend having a session with him. Dr. Yuliya is working with Acupuncture and Bioenergetic Assisting for ~1 hour. Mikhail Jirnov is doing Bioenergetic Assisting for ~30 min. : $20 OFF. TOS only. Make a gift of health! 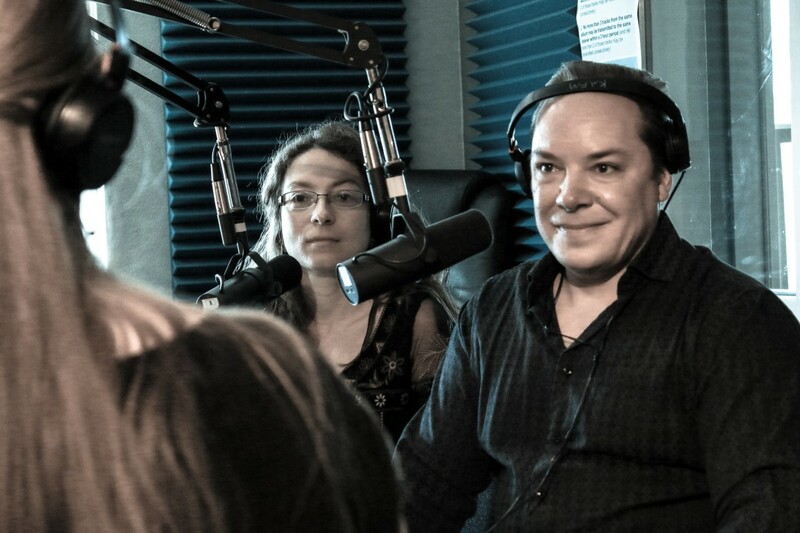 Learn more about Dr. Yuliya and Mikhail's unique practice with this interesting radio interview given in September 2016.